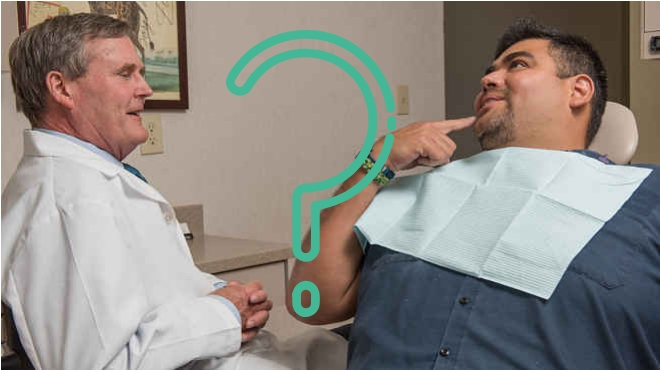 Can you the patient know for sure that you really need a dental crown? Why did your dentist prescribe a crown? Would a filling fix your tooth? In this post I will discuss how you can see for yourself that a crown is the right treatment for you. So your dentist says you need a new crown or replacement crown. You want to know why you need a crown and if there are other good options for treatment. You want to feel good about spending money on your teeth. You wonder if you could get a filling—or even do nothing at all. Today, with intraoral cameras and digital radiography, your dentist can show you why you need a crown. You can see for yourself the problem areas in your mouth. Ask your dentist to explain why a dental crown is the preferred treatment for your tooth. Discuss the way your tooth feels and looks. Understand how a crown will improve this and how it will improve your mouth. Look at photos and digital x-rays of your teeth. Ask your dentist to point out where the problem is and why a crown will fix the problem. Below I explain the most common reasons that you will require a crown. The photos are from Cranford Dental patients who needed a crown. These examples will help you as you evaluate photos from your mouth. You may need a crown if a large part of your natural teeth is missing. A crack in your tooth may have caused it to split. Or an old filling may have broken out. The remaining tooth may not be strong enough to support a filling. This photo indicates that a portion of the tooth broke. It already had a large filling, so placing a new filling would not be a good long-term solution. Digital x-rays may show decay before your tooth hurts or falls apart. If decay has damaged too much of your tooth a filling may not work. 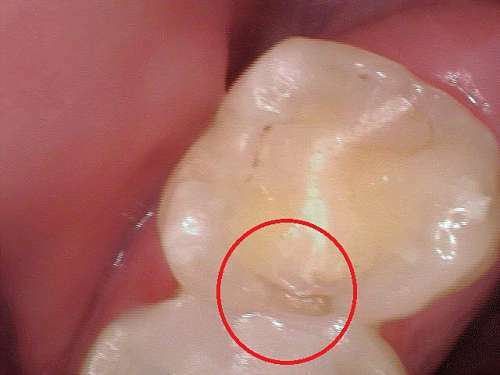 For a long term fix, the filling will not stay in the tooth or hold it together. In this case you need a crown that will protect your tooth from further damage. 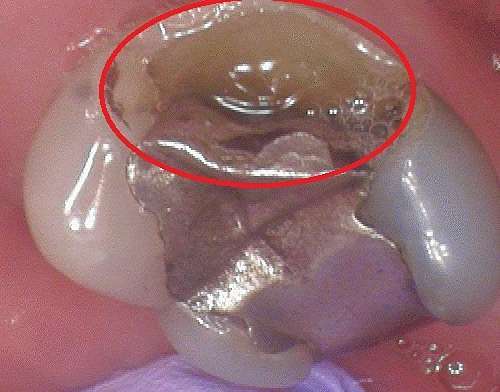 The circled area shows a dark area in the tooth that represents decay. 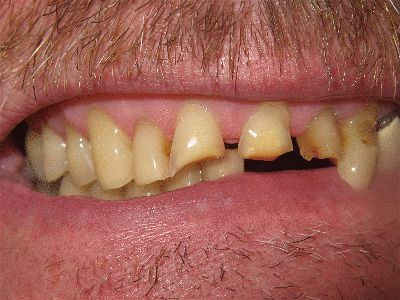 There is so much decay in this tooth that a filling would not hold. The bottom left teeth also show decay in smaller areas. Our dentist will repair these teeth with fillings rather than crowns. Are you unhappy with your smile due to large fillings or failed restorations? Your dentist may recommend crowns as the solution for you. The patient below was very happy with his smile after we placed crowns to rebuild his smile. This patient’s teeth were broken and worn. Also visit our gallery of other patients who improved their smiles with dental crowns. Routine dental examinations and radiographs are important because they help the dentist diagnose decay before the tooth becomes painful. When your dentist examines your teeth, he is checking around your existing crowns for any signs of decay. He can also look at radiographs to determine if your crowns have decay under them. It is important to remove the old crown and stop the decay. 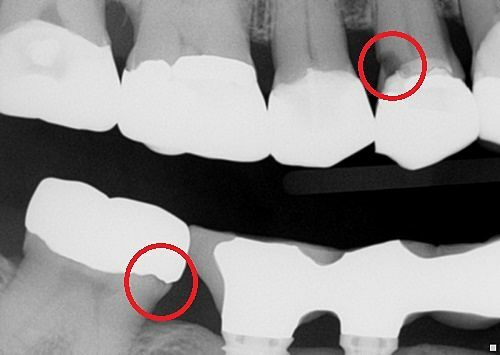 Routine x-rays show decay under existing crowns. When she saw the x-rays, the patient understood why she needed her crowns replaced. If you have a large filling or cracks in a tooth, your dentist may recommend a crown to keep your tooth from splitting in the future. You may need a crown to prevent the tooth from breaking beyond the point of repair. Intraoral photo shows our patient a large metal filling and a crack line. 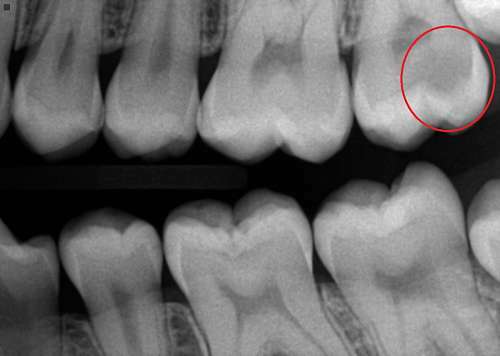 X-ray of the same tooth shows how deep and large the filling is. What are Optional Treatments to Crowns? In some cases a well placed and contoured filling will work as well as a crown. This means less time in the dental chair and lower cost. Our goal as dentists is to save as much of the natural tooth as possible. Often the decision to prep the tooth for a crown saves the tooth for the long term. For some cases a filling is the most conservative treatment. It preserves more of the natural tooth where a good bit of the tooth structure is in place. 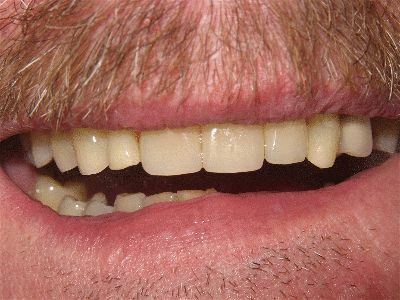 Ask your dentist to explain (using photos) why a filling may or may not work for your broken or decayed tooth. A tooth that still has a good bit of structure in place may lead the dentist to repair the tooth with a large filling. 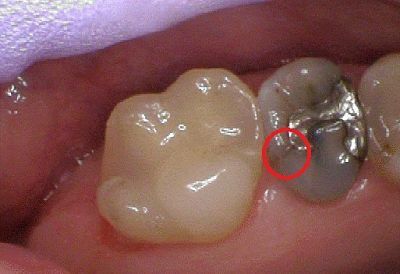 This photo shows that even though this tooth is broken, there is enough remaining tooth to place a filling instead of a crown. Discuss your desire to save the damaged tooth with your dentist. If the tooth is in the back of your mouth you may decide that you can get by without the tooth. Ask about the long term affect of losing the damaged tooth. 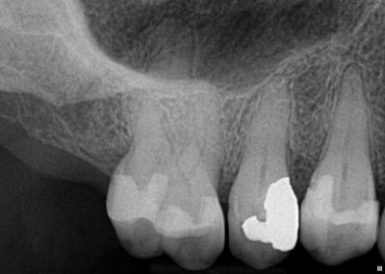 Decide: Crown, Filling, or Leave it Alone? Why does my tooth need a crown? or filling? What option best preserves my tooth? What has the lowest long term cost? What option is most secure? This is especially important if you travel or have a hard time getting to a dental office. The best way to make the right dental crown decision is to consult with a local dentist who you trust. At Cranford Dental we like to use technology to guide patients to the best treatment for their teeth. Our staff knows how to explain what is needed and why. 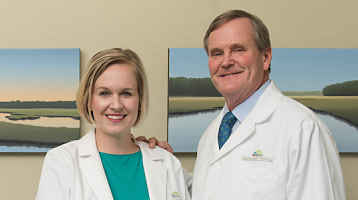 Our long time patients value our conservative treatment philosophy. They count on us to apply that when we suggest dental crowns for damaged teeth. Contact Cranford Dental or call 803-324-7670 if you want us to show you why (or why not) you need a dental crown.